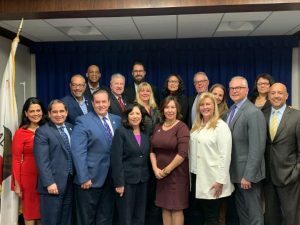 California Consulting CEO Steve Sameulian attended a very productive and informative 90-minute public policy discussion on Friday, February 1st, with L.A. County Supervisor Hilda Solis. Thank you Supervisor Solis for inviting the leadership of BizFed to meet and discuss the issues facing the L.A. County region. Los Angeles County Business Federation. Steve Samuelian is a proud Co-Chair to the BizFed Advisory Council. #BizFed - California Consulting, INC.